Three baseball players and one weightlifter have been formally excluded from Toronto 2015, the Pan American Sports Organization (PASO) announced today, while two others are still implicated and are expected to be confirmed tomorrow. 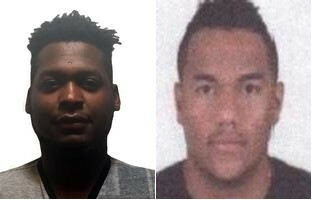 Mario Mercedes Castillo of the Dominican Republic and Colombia's Javier Jesus Ortiz were revealed as the two new baseball players to have committed doping violations, in addition to Puerto Rico's Nelson Gomez, whose failed test emerged yesterday (July 16) evening. Castillo violated PASO anti-doping rules after the banned stimulant simethylbutylamine was found to be in his system, meaning the 28-year-old will take no further part in the Games having already appeared in two of his country's matches. Ortiz, meanwhile, was excluded from competing here having tested positive for banned anabolic steroid stanozolol. PASO also officially confirmed that Puerto Rica's Gomez, who played in his county's opening three matches of the tournament, including against Castillo's Dominican Republic team, had tested positive for the anabolic steroid boldenone. Puerto Rico have already qualified for the semi-finals, while Dominican Republic could still do so. Neither team will receive a further punishment unless a second team member is implicated, in which case they would face disqualification. In addition to the trio of baseball players, Mexico's Cinthya Dominguez was found to have the anabolic steriod Oxandrolone in her system following a test on July 8 by the Montreal Laboratory and subsequently had been withdrawn from the Games prior to competition. The 32-year-old, a Pan American Games silver medallist in the under 75 kilograms category at Rio 2007, now faces the prospect of a life ban having served a suspension following a failure during the 2010 Central American and Caribbean Games in Mayagüez, Puerto Rico. When confirming the news at the first PASO press conference of the Games, PASO Medical Commission head Eduardo Henrique De Rose admitted some "surprise" at the number of positives this early, but insisted the level is not above average for a multi-sport event. “The Medical Commission is, in a certain way, surprised to have so many cases at the beginning of the Games, but the numbers will be more or less the same that we have at every Games," the Brazilian claimed. PASO also refused to comment on the reports concerning other athletes having failed tests, including Peruvian swimmer Mauricio Fiol, winner of the 200 metres butterfly silver medal in Toronto, but who later admitted on Facebook to having tested positive for stanozolol. Brazilian Olympic Committee officials have admitted weightlifter Patrick Mendes, fourth in the under 105kg event and who has already served one ban in 2012 for doping, was also notified of a failure yesterday. Another weightlifter, Guatemala's Astrid Camposeco, has also reportedly returned home having been notified on July 9 that a drugs test on May 23 was positive. “When the Medical Commission determines that there's enough reason, based on sound evidence and the substances that are found, to have a suspension take place, the Chef de Mission of that National Olympic Committee is informed immediately, as is the PASO Executive Board," said PASO's first vice-president Ivar Sisniega, who assumed Presidential duties following the departure of interim President Julio Maglione for the FINA World Championships in Kazan. "The athlete and his NOC then have 48 hours to present their evidence to defend themselves, the PASO Executive Board does not make a decision until after those 48 hours have gone by. 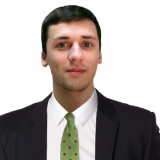 “We will only comment on cases where the athlete has had the opportunity to present his case, if he has a case, and only then does the PASO Executive Board make a decision on suspension from the Games.